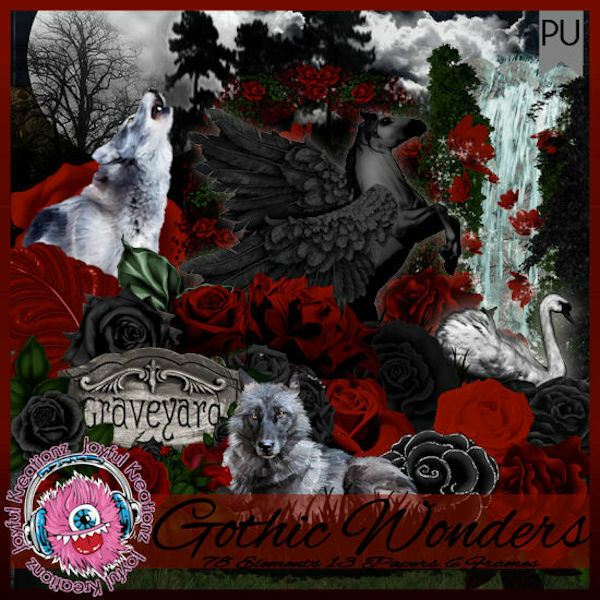 Gothic Wonders is an amazing kit full of reds, blacks with hints of grey. Gothic Wonders contains 78 elements 13 papers and 6 frames. Kit was made to match the tube Gothic Wonders 5 by Julia Fox; however, you can use any tube of your choice. I used a tube by ©ValentinaAndDesign-Ghostly Lady in my sample timeline set. You can purchase this kit from Scraps And Company. You can purchase Ghostly Lady from Scraps And Company.